Place eggs in a bowl and beat with a fork. Add remaining ingredients in order and mix only until smooth. Let sit while greased waffle iron or pan (if doing pancakes) is heating up. 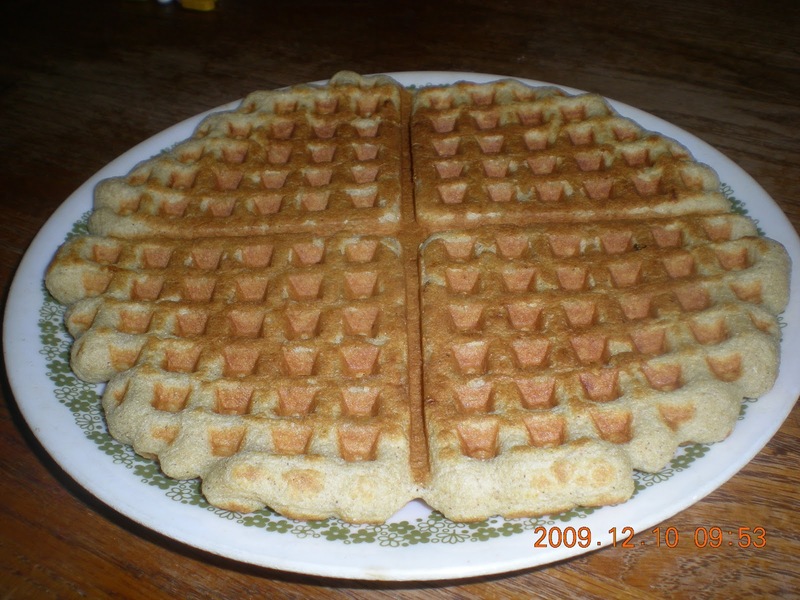 Stir batter once or twice and pour onto heated waffle iron or pan. Top with fresh fruit, unsweatened applesauce, pear sauce, or pure maple syrup. For blueberry pancakes add 1/2 cup fresh blueberries to the mix.